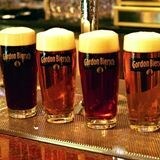 Located in one of the most upscale retail environments in the Pacific Northwest, Gordon Biersch Seattle is conveniently located downtown at the Pacific Place Shopping Center. Situated steps from an 11 screen movie theater and some of the most exclusive names in high end shopping, Gordon Biersch is the perfect choice for any occasion. Our 500-seat restaurant features a working brewery, bar, atrium seating, and private and semi-private dining areas for groups and parties. Convenient to hotels, sports venues and the region"s state-of-the-art convention center, Gordon Biersch Seattle is the perfect setting for small, social gathering of friends and family or large group events numbering in the hundreds.